She’s distinguished herself as one of the most captivating and sophisticated performers to emerge from the ranks of Australia’s classical musicians. She’s been enthralling audiences across the globe since she was named Symphony Australia Young Performer of the Year and made her debut with the Sydney Symphony at the age of 15. She performs on a violin from 1736 by Italian maker Johannes Florenus Guidantus. And now she’s at Gordon College. 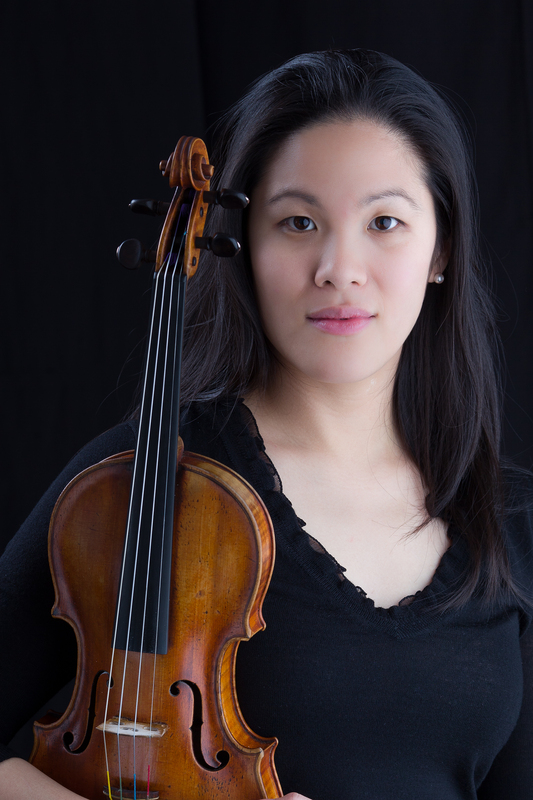 Effective July 1, Dr. Sarita Kwok is Gordon’s new Chair of the Music Department, serving also as associate professor and artist-in-residence. Born in Australia to Chinese parents, and raised in both Australia and Singapore, Dr. Kwok’s musical career has been similarly cosmopolitan. She has performed as a solo artist, recitalist, and chamber musician throughout Europe, Asia, and North America, and as a featured soloist with the major orchestras of her native Australia. She has also been a prize-winner at the Kloster Schöntal, Gisborne, and Lipinsky/Wieniawski international competitions and has performed at the Aldeburgh, Pacific, Aix-en-Provence, and Norfolk music festivals. An enthusiastic and committed chamber musician, she was the founding first violinist of the Alianza Quartet, the former graduate quartet-in-residence at Yale University, whose “unusually elegant sound” was praised by The New York Times. Dr. Kwok regularly appears in recital with pianist Wei-Yi Yang, and she frequently performs chamber music with her husband, Boston Symphony Orchestra cellist Alexandre Lecarme. Dr. Kwok, Lecarme, violinist Julie Eskar and violist Ettore Causa perform together as the Arabella String Quartet, an ensemble quickly establishing a reputation for its remarkable artistry. A popular and enthusiastically received performer, Dr. Kwok has appeared in chamber series and at festivals throughout the United States including the Embassy Series (Washington, D.C.), Flagler Museum Series (Florida), Brooklyn Friends of Chamber Music, and Rockport Chamber Music Festival, and in performances at Weill and Zankel recital halls, Merkin Concert Hall, Kitara Hall (Japan), Villa Medici (Italy), the Théâtre du Jeu de Paume, and Salle Olivier Messaien (France). Her broadcast appearances have included WGBH public radio, Radio Suisse Romande, and the ABC TV and Radio (Australia). She has also performed as a guest violinist with the award-winning piano quartet Ensemble Made in Canada and is an artist member of Mistral Music. Dr. Kwok is a persuasive advocate of contemporary music and enjoys the challenge of championing new works. She has debuted works by composers Jerome Combier, Jean Giroud, and John B. Hedges, among others, and has collaborated extensively with Martin Bresnick and Ezra Laderman. With the Alianza Quartet she recorded Laderman’s last three string quartets for Albany Records to critical acclaim. Sarita Kwok’s passion for performing is matched only by her commitment to education, and her analytic yet sensitive approach has made her a highly sought after teacher. The former director of the undergraduate lessons program at Yale, she served for eight years on the faculty of the Yale Department of Music. She has taught master classes Wellesley and Amherst colleges and at the New Zealand School of Music, among others. She holds both Doctor and Master of Musical Arts degrees from the Yale School of Music, where she was a student of Syoko Aki and the Tokyo String Quartet.